Russian cooking is a diverse cuisine that includes influences from northern and southern Europe, Siberia, and eastern Asia. Particularly popular are a wide selection of hot and cold soups based on root vegetables and meat or fish. Historically, classic Russian dishes were based on food staples that kept well over long, cold winters, and the recipes made from these sometimes bland ingredients derived their notable flavor from the addition of many dried herbs. If you are especially fond of a particular herb, check the following pages for information on great Russian recipes making use of some common herbs. Dill just makes sense in a Russian diet of fish- and milk-based dishes. Dill is easy to grow quickly, which made it perfect for the short growing season found in much of Russia. And it dries easily for storage through the winter. If you are growing your own dill in the garden, don't let it go to seed, or you will never get rid of this prolific herb. Bright and slightly citrusy in taste, parsley is an ingredient in the famous Borscht soup. A cool-weather herb, parsley can be grown indoors, but it has a long taproot and doesn't react well to transplanting. If you want to grow your own, plant it in a moveable container that can be moved outdoors when the weather warms up, then moved indoors to a countertop when winter approaches. Chervil is a mild-flavored member of the parsley family (it is sometimes called French parsley). Chervil has a mild flavor of licorice that is something like a cross between tarragon and parsley. Chervil is often used in egg dishes and is also a good substitute for cilantro in any Russian recipes calling for that herb, such as Potatoes in Cilantro Sauce. Chervil is not commonly grown in home gardens. This is unfortunate because it has a mild taste and light green color that is perfect for simple dishes. French tarragon, often sold as true tarragon, has a much better flavor than its cousin, Russian tarragon (Artemisia dracunculoides). Used in any Russian recipes with vinegar and/or mustard, tarragon is delightful. Tarragon has a slight anise flavor and can be overpowering unless used carefully. 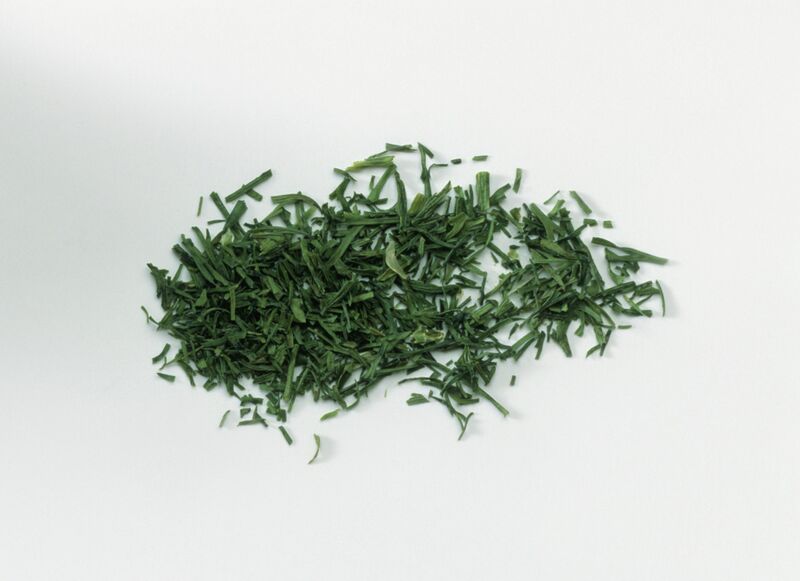 Fresh tarragon is especially strong; dried leaves may be a better choice. French tarragon is also used in many egg and cheese dishes in the United States. Try adding some to your next omelet or cheese souffle. It's delicious! Traditonal Russian foods (and many of the herbs used) aren't that different from many that American people enjoy today. 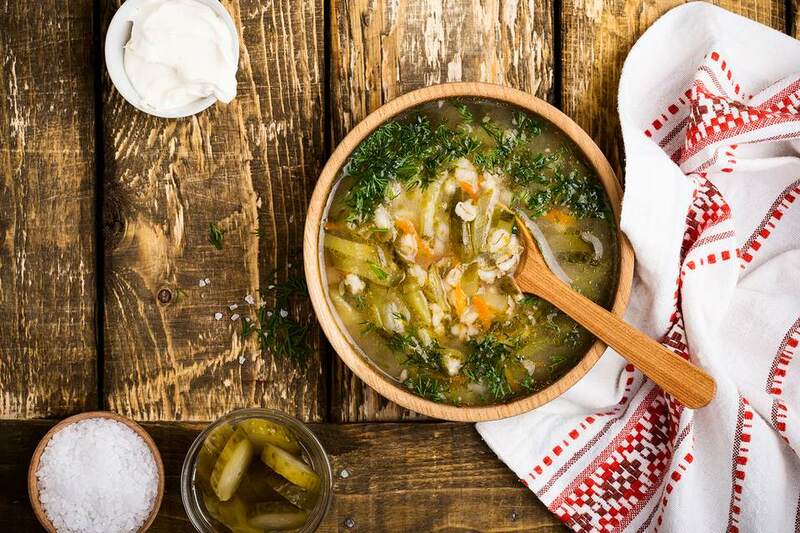 Russian cuisine does have the distinction (and rightfully so) of being heavy, filled with things like potatoes and meat, creams and fats, but they have a long history of providing sustenance to people living in a brutally cold climate.